Count Basie was one of America’s pre-eminent and influential jass pianists, bandleaders, and composers, known for such classics as “Jumpin’ at the Woodside,” “Goin’ to Chicago Blues,” “Sent for You Yesterday and Here You Come Today,” and “One O’Clock Jump.” In Good Morning Blues, Basie recounts his life story to Albert Murray, from his childhood years playing ragtime with his own pickup band at dances and pig roasts, to his years in New York City in search of opportunity, to rollicking anecdotes of Basie’s encounters with Fats Waller, Frank Sinatra, Fred Astaire, Sammy Davis Jr., Quincy Jones, Billie Holliday, and Tony Bennett. In this classic of jazz autobiography that was ten years in the making, Albert Murray brings the voice of Count Basie to the printed page in what is both testimony and tribute to an incredibly rich life. Murray’s singular poetic voice, impassioned argument, and pluralistic vision are perhaps more relevant today than ever before. For Murray’s centennial, editors Henry Louis Gates Jr. and Paul Devlin have assembled the definitive edition of his collected nonfiction, including The Omni-Americans and the five brilliant books that followed. The memoir South to a Very Old Place (1971) recounts the author’s return, in his mid-fifties, to the people and places of his Alabama youth, weaving personal encounters with several Southern writers into a richly textured report on the newly integrated South. The Hero and the Blues (1973) is a series of lectures on the trickster-hero figure in world literature and its relation to musical improvisation. 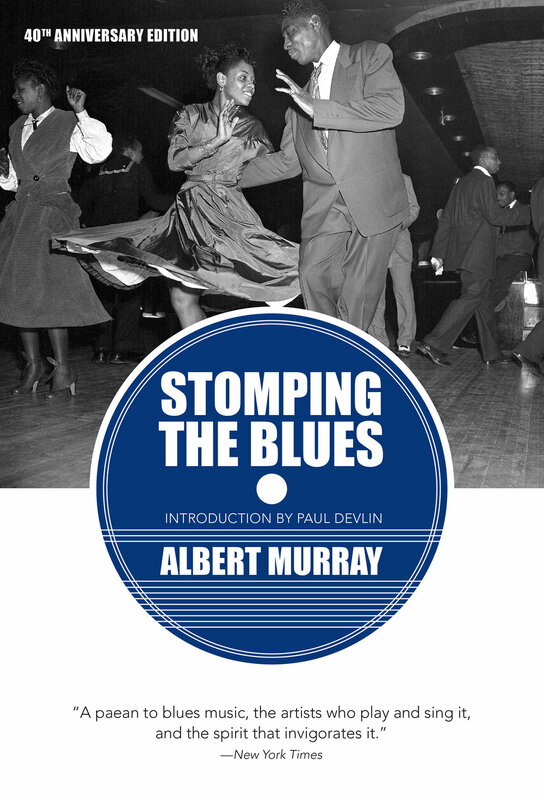 Stomping the Blues (1976), a masterpiece of music criticism and perhaps Murray’s most influential work, outlines a history and aesthetics of jazz and the blues that, in the 1980s, became the foundation for programming at Jazz at Lincoln Center, the “House of Swing” that Murray did so much to establish as a founding board member. The essay collections The Blue Devils of Nada (1996) and From the Briarpatch File (2001) enlarge upon the themes of his previous books, focusing on individual American writers, artists, and musicians. For an out-chorus, Gates and Devlin present eight previously uncollected pieces, early and late, on topics ranging from the Civil Rights movement to the definition and use of such American words as soul, stone, and jazz. The year 2016 marks the centennial of the birth of Albert Murray (1916–2013), who in thirteen books was by turns a lyrical novelist, a keen and iconoclastic social critic, and a formidable interpreter of jazz and blues. Not only did his prizewinning study Stomping the Blues (1976) influence musicians far and wide, it was also a foundational text for Jazz at Lincoln Center, which he cofounded with Wynton Marsalis and others in 1987. Murray Talks Music brings together, for the first time, many of Murray’s finest interviews and essays on music—most never before published—as well as rare liner notes and prefaces. For those new to Murray, this book will be a perfect introduction, and those familiar with his work—even scholars—will be surprised, dazzled, and delighted. Highlights include Dizzy Gillespie’s richly substantive 1985 conversation; an in-depth 1994 dialogue on jazz and culture between Murray and Wynton Marsalis; and a long 1989 discussion on Duke Ellington between Murray, Stanley Crouch, and Loren Schoenberg. Also interviewed by Murray are producer and impresario John Hammond and singer and bandleader Billy Eckstine. All of these conversations were previously lost to history. A celebrated educator and raconteur, Murray engages with a variety of scholars and journalists while making insightful connections among music, literature, and other art forms—all with ample humor and from unforeseen angles. Leading Murray scholar Paul Devlin contextualizes the essays and interviews in an extensive introduction, which doubles as a major commentary on Murray’s life and work. The volume also presents sixteen never-before-seen photographs of jazz greats taken by Murray. No jazz collection will be complete without Murray Talks Music, which includes a foreword by Gary Giddins and an afterword by Greg Thomas.